First came the bangs, then the official portrait. 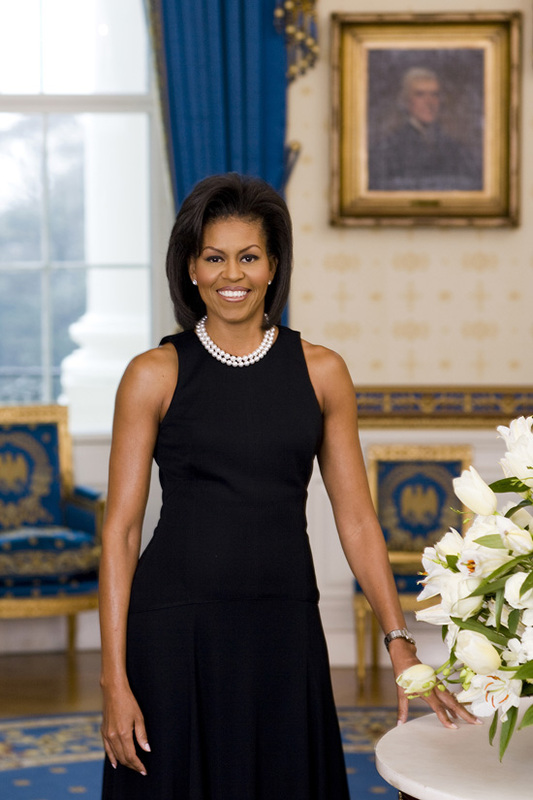 The first lady is also sporting a strand of pearls, just like in her 2009 official portrait. The main difference this time around? The bangs, obviously. Michelle's voluminous blunt bangs, her self-proclaimed "mid-life crisis," have become her new style signature, replacing those iconic bare arms from four years ago. Besides the hair and arms, however, not much has changed. Check out the Michelle Obama's portaits, new and old, below. What do you think of the photo? How does FLOTUS' latest outfit compare?